Months ago, I waited for the perfect occasion to reward my picky eater with a prize--a prize so powerful, I knew it would motivate his taste buds. "Who's that puffing down the track? It's Thomas! Hellooo, Thomas!" The Answer to all Eating Woes--or so I thought. I found Thomas for $8 dollars at a children's consignment store. Originally, I had hoped to use it as his reward for potty training--I like to call it toilet learning, but whatev. This child is not even close to reaching that milestone yet, so when he started whimpering over his uneaten dinner, I took Thomas out of hiding and placed it in front of him on a train track. "THOMASSS!" 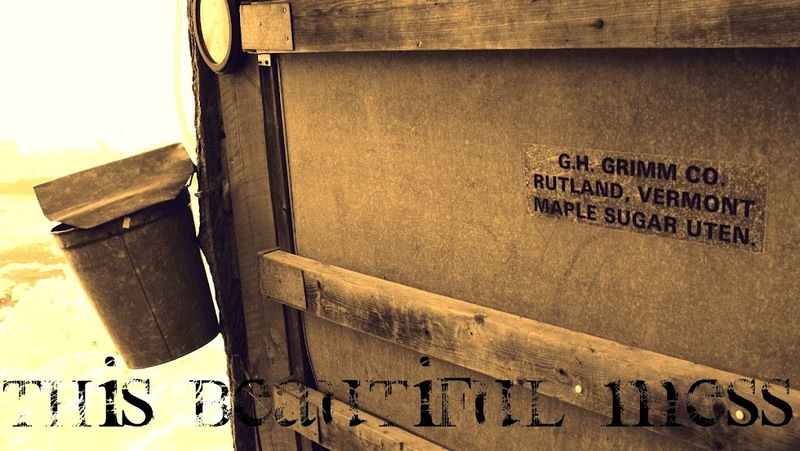 he pointed his finger at it and shrieked with complete, utter joy. "Done! Done! DONE!!!" he shouted, as he usually does when he's finished eating. His eyes were on the prize. "Eat your dinner, and then you can play with Thomas." 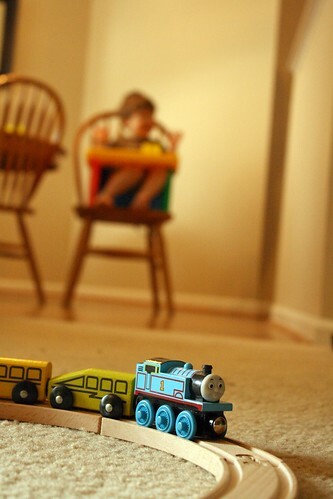 I chug-a-chugged Thomas on a joy ride along the train tracks, pretending not to hear the crying frenzy that followed. It's as if I were dangling a succulent piece of beef jerky above a hungry dog in a muzzle; I continued to play as my son's eyes were riveted on that coveted blue engine. "Eat your dinner," I reminded him. Such torture. Am I evil? An incredible thing happened: it worked. I couldn't have been more proud of myself. Since then, I haven't been so lucky. He is still picky and I am still fed up with meal time. 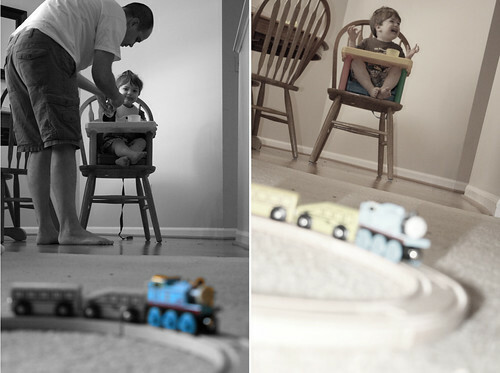 As the two of them were picking up and putting away the trains and train tracks, they noticed that Thomas was missing. After 10 minutes of putting everything away, no Thomas was found. After putting on dinosaur jammies, no Thomas. After brushing teeth, still, no Thomas. Huck wasn't torn up about it, so they knelt down for bedtime prayer. 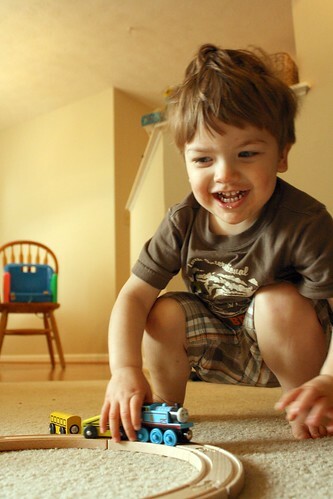 As Boy was saying a prayer, a little two-year-old voice interrupted him by whispering, "Find Thomas?" "Where, oh where is Thomas? Where has Thomas gone? He must be playing hide-and-seek or something's really wrong. Sir Topham Hatt has spoken: Thomas must be found! So everyone is searching every inch of Sodor ground." I never thought this toy train would prompt such powerful feelings from our little boy, but it has, and it does. Thomas was found only moments later and Huck was finally off to bed. In this instance, a prayer to God was answered by a father whose heart was softened by the innocent pleas of his little son. I feel like submitting this to the advertising agency who makes those Visa Mastercard commercials. Thomas the Train: $8 dollars. Missing train: 20 minutes, give or take. Out of the mouths of babes: Priceless. *Huckleberry Finn--my inspiration--is too much of a mouthful, don't you think?